A blueberry smoothie that fills you up ’till lunch and gives you the goodness you need everyday! 2 heaped tablespoons of activated goodMix blend11. Blend all ingredients together. Sprinkle with a pinch of cinnamon. 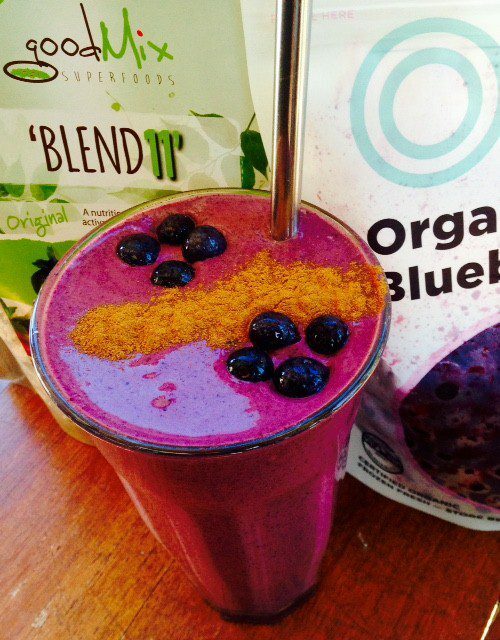 Thanks to Wendy Beattie for this awesome Blueberry Smoothie recipe! !